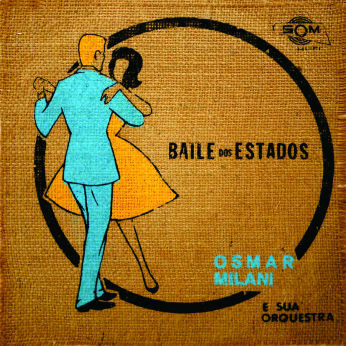 Maestro Osmar Milani, the man whose name sounds very familiar to me, with his latest album which has been presented on Loronix almost a decade ago. This gives you a chance to read Zeca‘s text about it on Órfãos do Loronix. There is also a background cover text about this release, but I fear that only the name of the writer, Juvenal Fernandes is clearly legible while his text is unfortunately not. 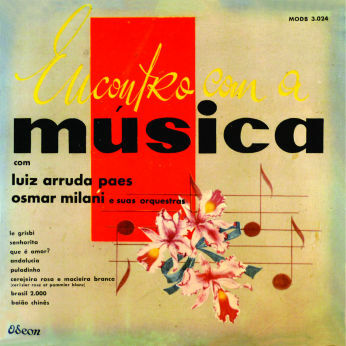 The first career albums of both famous maestros: Luis Arruda Paes and Osmar Milani are actually placed on one side each of this 10′ Lp, released in 1955. 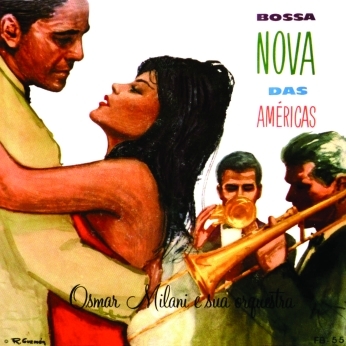 The 4 compositions on side A are performed by Luis (with a little help of Zezinho da TV on two tracks) and the other 4 compositions on side B are by Osmar. 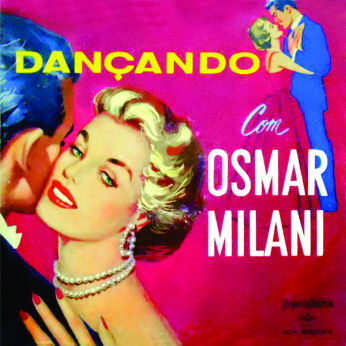 Also, the back cover presents two texts, one about Luis Arruda Paes and the other about Osmar Milani. 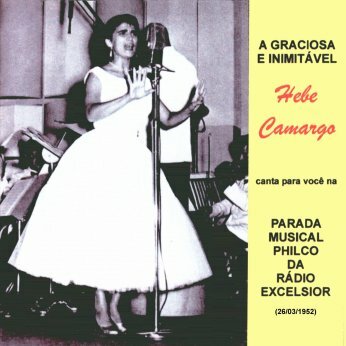 This non-commercial recording is a complete transcription of a program of Radio Excelsior from São Paulo, aired on 26/03/1952, in which Hebe Camargo, in her very beginning, was the main artist. At this time she was known as “A estrela de São Paulo“. The recording was made by Radio Excelsior in a very unusual acetate, because it was greater than a regular Long Play. My friend Marcelo Spinola had to adapt his modern turntable in order to reach to play it and transcribe to digital format. It’s a real pleasure to hear the recording, almost the same way the people heard the program sixty four years ago. The only missing part is the radio Philco! Maestro Osmar Milani has been featured in this parallel reality on a joint venture with Morgana‘s Esta E Morgana, her first album, but so far not with a solo album although he has recorded at least 5. The one presented tonight is his third, released by Copacabana, Beverley and Som. All three edition’s cover scans and labels are included in the zip file. The Som front cover looks best (from my point of view) and therefore I have used it for decorating this post. 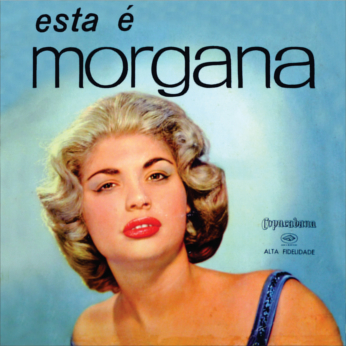 Morgana‘s first career album, recorded in 1958, accompanied by Osmar Milani and his orchestra. Actually, Morgana is singing only on eight tracks, while four are instrumentals performed by Osmar Milani.